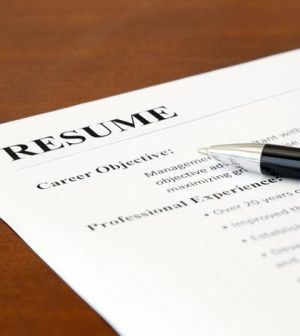 Crafting the perfect resume is crucial to job success. Not only is it important in getting your foot in the door and landing that interview, it also much important after the fact. Those who you list as references can sometimes make or break your chances of a job offer. Don’t make these common mistakes. Never forget tell your references to be waiting for a call. If you have already went through the steps of adding people to reference list, then you have obviously spoken to them and they are aware. If you are on the job hunt, and potential new employers may be scanning those references to get the inside scoop on you, then it’s a good idea to let those on your list know so that they are prepared. Calling a reference who is surprised can make you look disorganized, and can lessen your chances of a job offer. Never list a reference who you hardly know or is irrelevant to your success. If you worked for a major manufacturing plant, don’t list the president because you bumped into him once at a meeting. Similarly, if you worked for a small plumbing company, but never spoke to the owner on a personal level and he didn’t know you all that well, don’t list him to make yourself look good. It is also never good to list people who will do nothing to aid in your success. Listing someone that you barely know, or worse, only knows you a little, can lead to disaster. Don’t make it difficult for your references to be reached. Listing a home phone or cell phone may be common place, but some employers aren’t going to try very hard to reach your reference if they have a stack of people to check for. So, to remedy this, provide an email or even something like a Skype username (depending on the position you are applying for), so that you can be sure that you covered all of your bases. Just because you had a great relationship with Dan in accounting five years ago doesn’t mean Dan should still be on your list. If a potential employer gives Dan a call and he hardly remembers you, it won’t look good for the job prospect. Keep the list relevant and up to date at all times. Avoid listing references unless you are certain they will support you. Remember that employers typically only check your references right before they make you an offer. If they are going to go through the trouble of finding out more about you then listing someone who doesn’t know how to “talk you up” is a no-brainer. When you are adding people as references, an easy way to fix this is when you are following step 1 (above) ask them what they might say in the advent that they are called. If it checks out, then add them. For more information on successfully landing a job, or more job-related tips, don’t hesitate to contact us anytime. This entry was posted in Gradcast and tagged find job, Gradcast, Gradcast.com, Resume Tips, write resume. Bookmark the permalink.